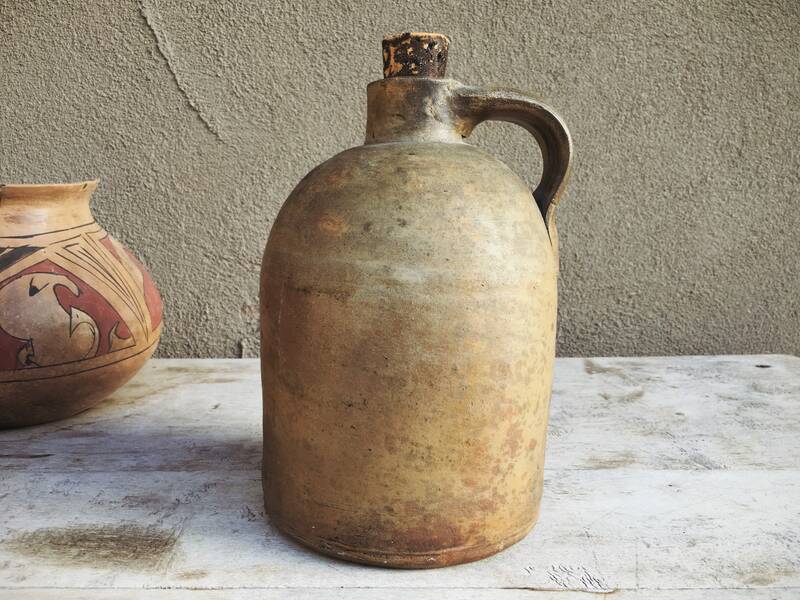 This 19th Century jug was found in Fort Garland, Colorado. 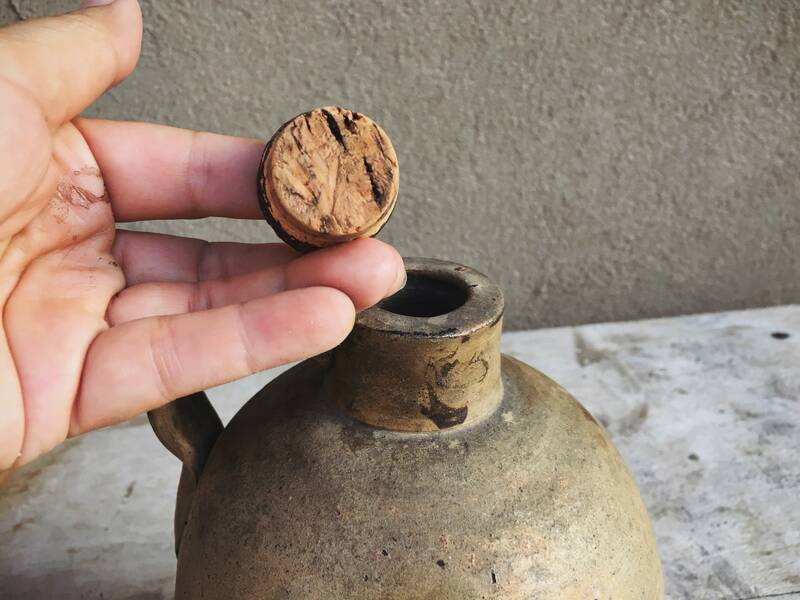 It has original cork and a remnant of the red lined paper label that would have indicated what was held inside--likely moonshine whiskey. 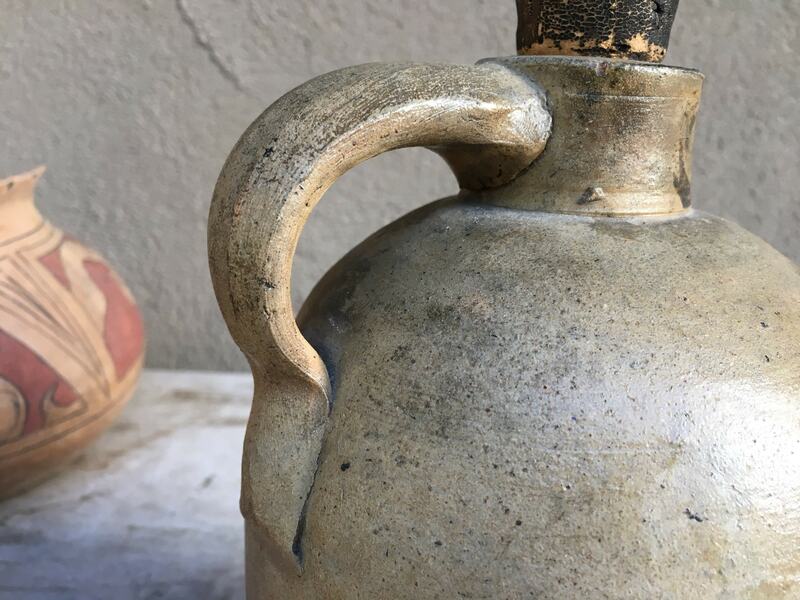 It is a form of brown stoneware--the lighter more splotchy finish is referred to as "speckled" by some, and there are some speckles but more so just a beautiful patina that is creamy in some areas, an olivey-brown green gray. 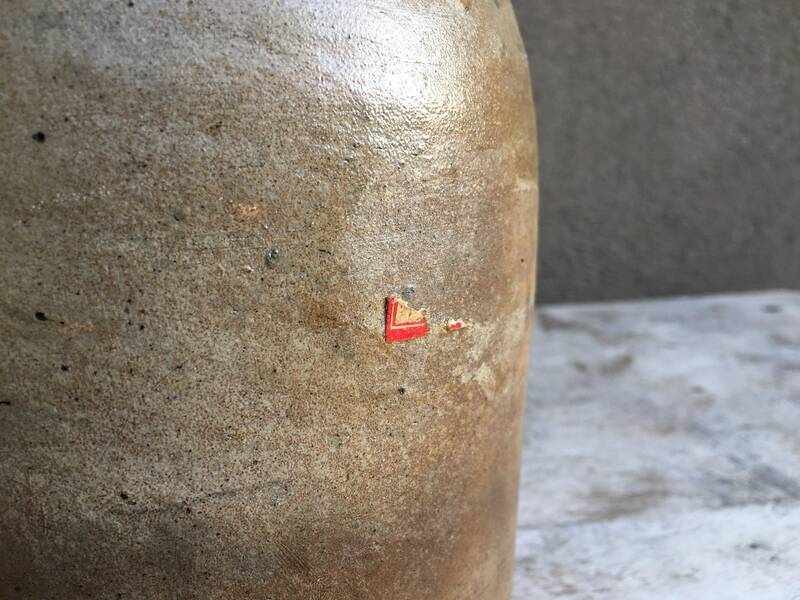 The shape is a beehive with a sidearm handle. 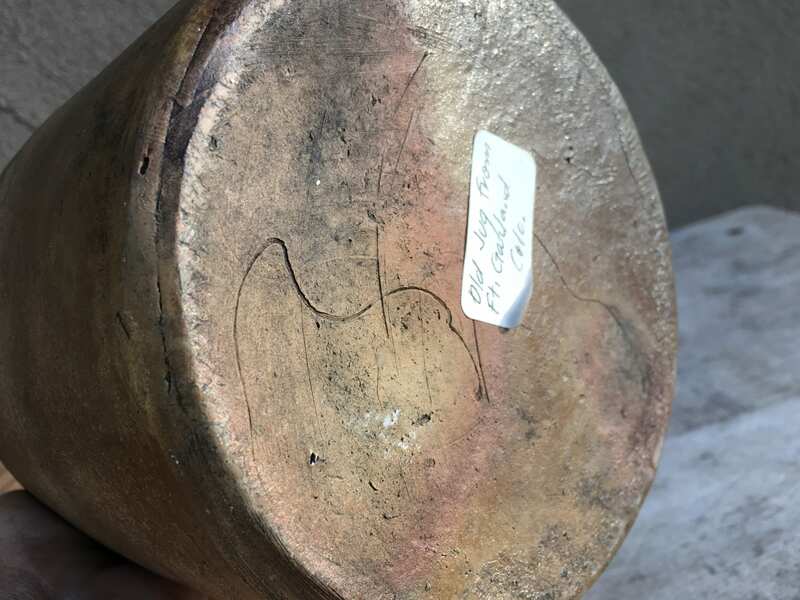 This was purchased from the estate of a collector couple who had labels on all their pieces indicating where they had come from. 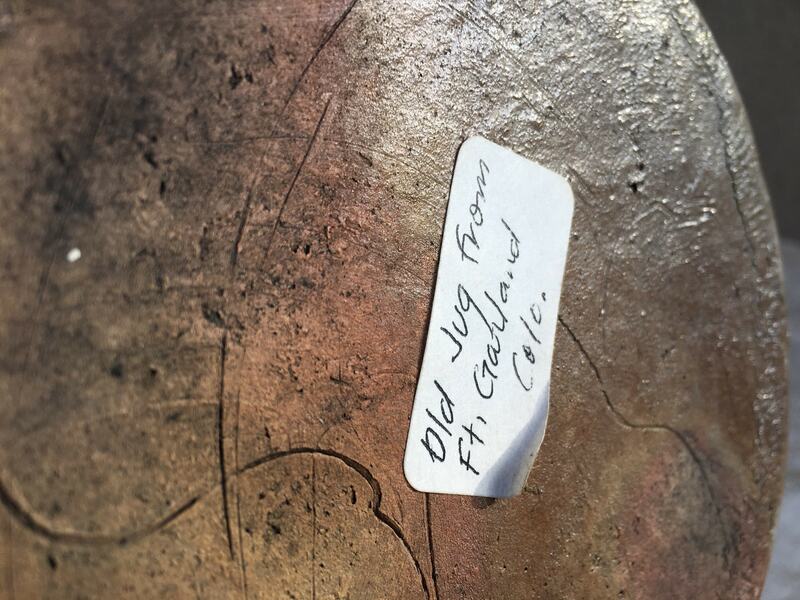 The bottom does have what is a signature of the craftsperson who made the piece, but it is abstract and undecipherable. 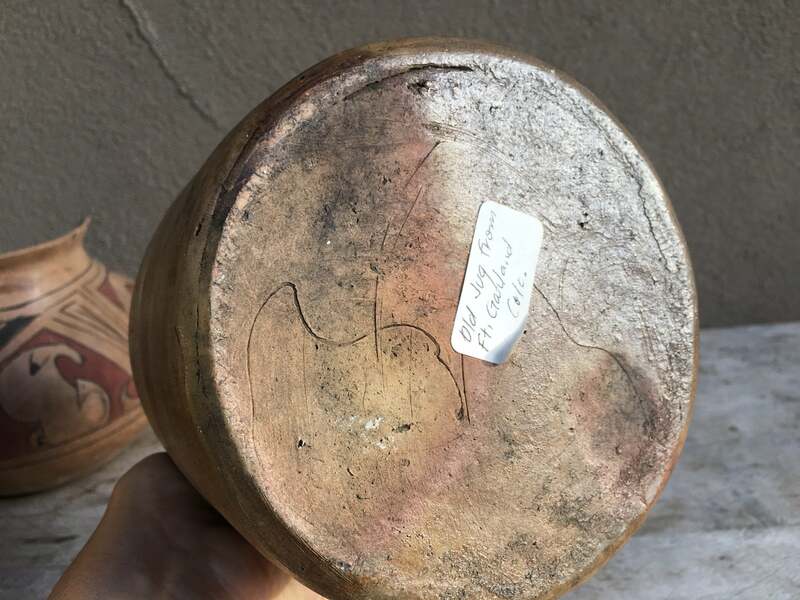 Measures 9" tall and the base is just under 5-1/2" in diameter. Weighs 3.5 pounds unpacked. No cracks and only small fleabites. In good vintage condition. 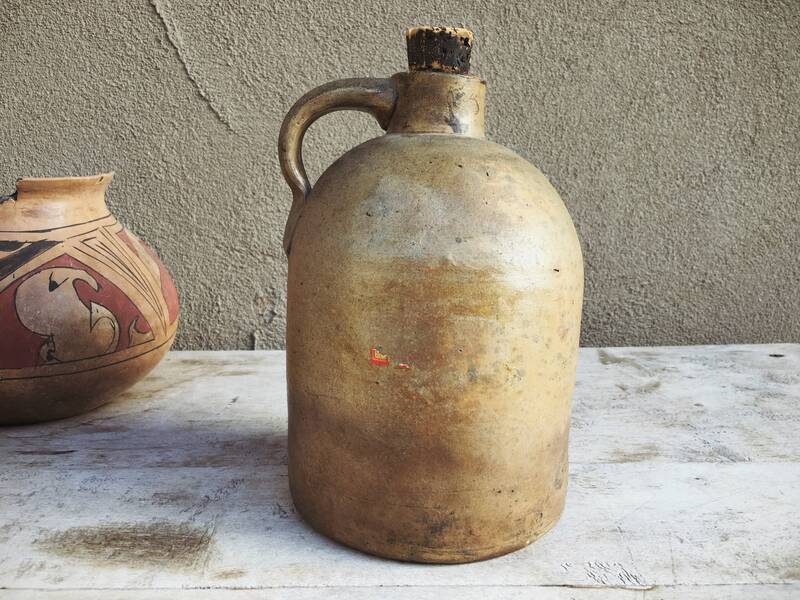 Beauty in primitive functional pottery.